Sometimes some problem may occur in your Mac like keyboard light doesn’t work properly and battery indicator light works improperly then these problems are symptoms that you actually might need to Reset SMC on Macbook. Fortunately, it’s easy to reset your SMC to its original factory settings and fix problems on your Mac. In this article I will cover all your queries related to smc including steps to Reset SMC on Macbook, Macbook Pro or iMac. 1 What is SMC (System Management Controller)? 1.1 When Should you Reset Mac SMC? What is SMC (System Management Controller)? The System Management Controller (SMC) is responsible for many low-level functions on Intel based Macs that’s involved in running a lot of the physical parts of the machine, like LED indicators, keyboards and other peripherals, cooling fans, and power buttons. It also a role in behaviour of your hard drive, how your computer behaves in sleep mode, and the power supply. Fortunately, it’s easy to reset your SMC to its original factory settings and fix problems on your Mac. When Should you Reset Mac SMC? The fans run at high speed, even though it isn’t under heavy usage. The keyboard backlight behaves strangely. The display backlight doesn’t respond correctly to ambient light changes. Power button doesn’t function well. Your Mac doesn’t respond properly to the lid opening and closing. 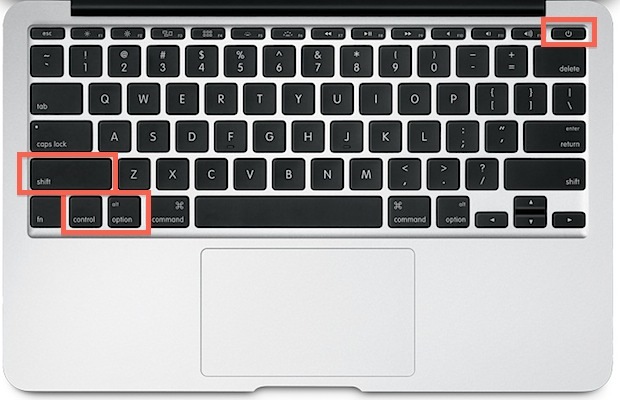 Your Mac sleeps or shuts down unexpectedly and you can’t turn it back on. The battery doesn’t charge properly. Your MacBook or MacBook Pro doesn’t charge through its built-in USB-C port. Display brightness function doesn’t work well. Your Mac performs unusually slowly. Before resetting the SMC determine whether the battery is removable or not. That is because the process of resetting SMC for the Macs that have non-removable battery is quite different. Also, make sure that all the applications are closed. Try to reboot your Mac to see if it fixes the problem. It may take a little while to to boot up. SMC reset is done in different ways depending on the type of your computer as well as battery (removable or non-removable) . Disconnect your Mac portable from its MagSafe connector. Press the power button and hold it for few seconds (at least 5 seconds). Plug in the MagSafe power adapter. Press the power button to start your Mac. If you want to reset SMC on your iMac then follow the steps given below. Now that you have reset the SMC on your Mac, it should be back to operating as normal. If the SMC reset didn’t fix your problems, if you’re still having issues, you may wish to try running the Apple Store to rule out a defective component on your Mac.